Auberry Intermountain Rotary has a 1 mile stretch of State Route 168 that we help take care of in the Cal Trans "Adopt a Highway" program. A couple times a year, we go out as a group, meet, set up a game plan, get our lovely yellow vests and hard hats and head up the hill. 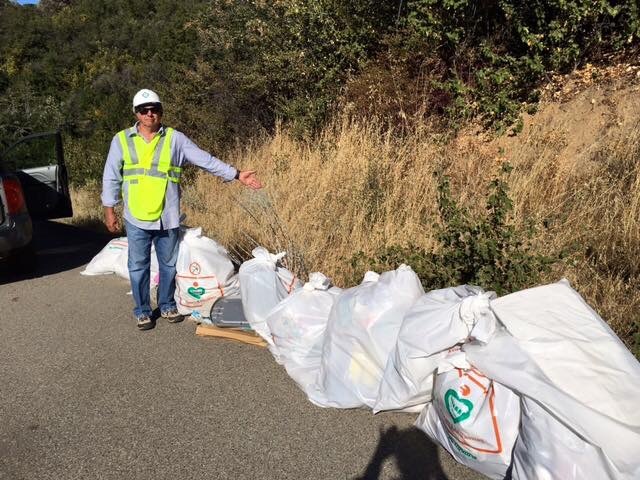 We pick up litter along the safe areas of 168 and fill the bags supplied by Cal Trans. Our stretch of the road is one of the cleanest but summer and winter seasonal travel gives us plenty to do. After our morning of cleaning the roadside, we meet for breakfast. As we all know.....you have to take care of the appetite you work up!